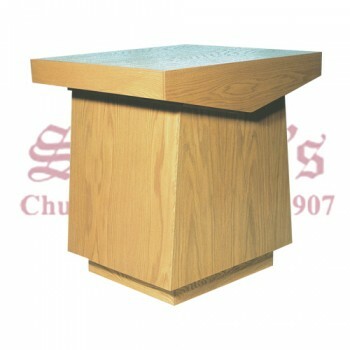 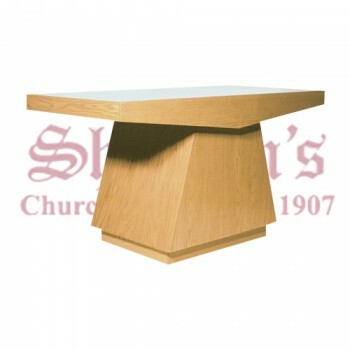 The altar or communion table forms the focal point in many churches. 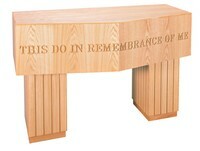 An altar can be any type of structure or table where divine offices are recited and where the Eucharist is celebrated. 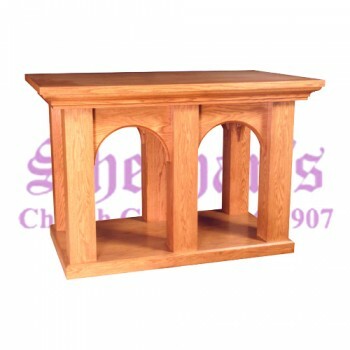 Altars furnish churches, chapels, shrines and other places of worship. 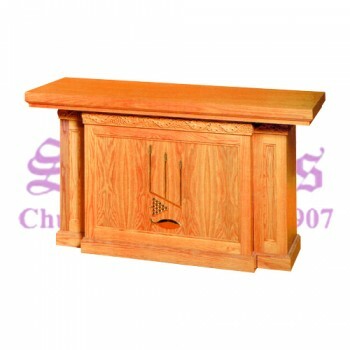 Altars can range in style from simple wooden structures lacking in decoration to ornate works of art. 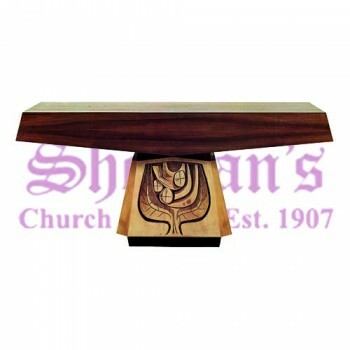 Matthew F. Sheehan carries a large selection of prayer altars to choose from in several shapes and finishes to blend beautifully with the decor of any church. 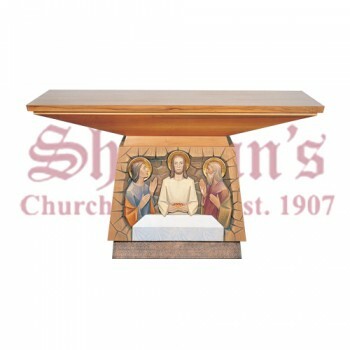 Altars and communion tables come in a range of styles from traditional to modern, ornate to simple and understated, and many options in each. 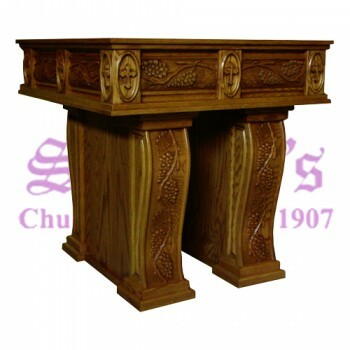 Designs include altars with angels, depictions of the Last Supper carved in the front, and pieces with symbolic carvings, among other designs. 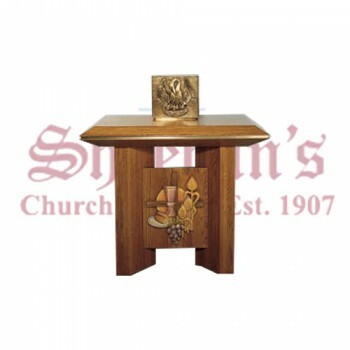 Some modern altars are designed using clear glass or acrylic legs to support wood table tops, among other designs. 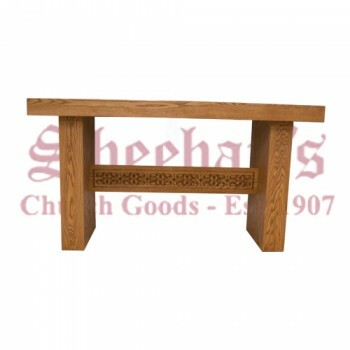 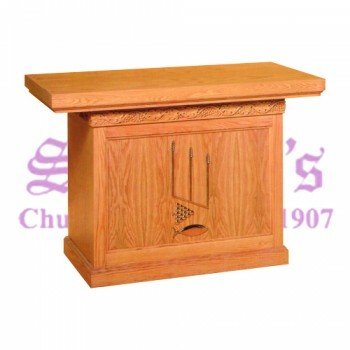 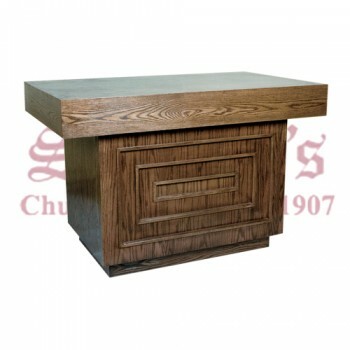 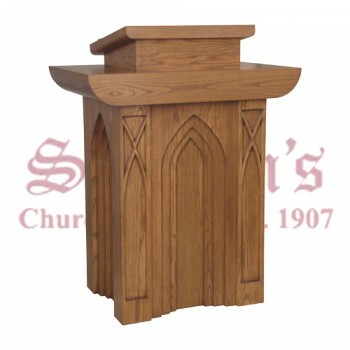 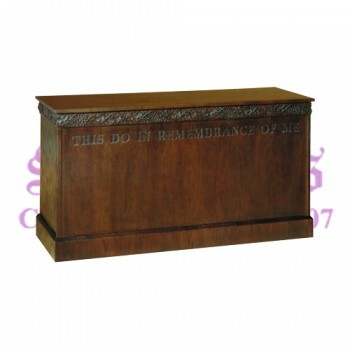 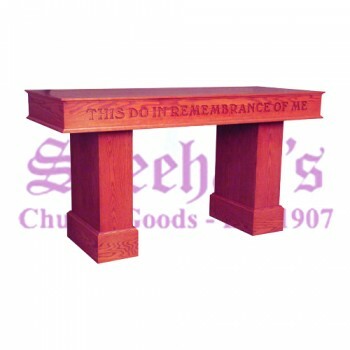 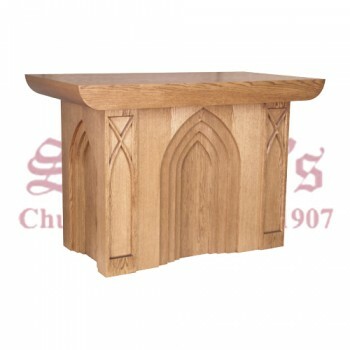 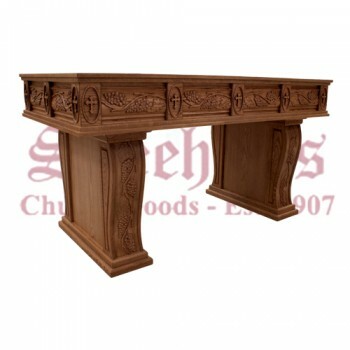 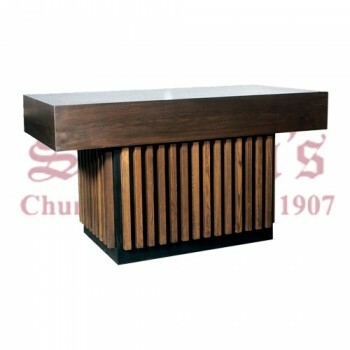 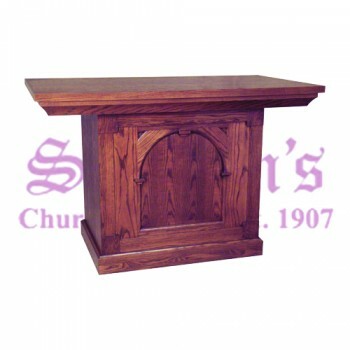 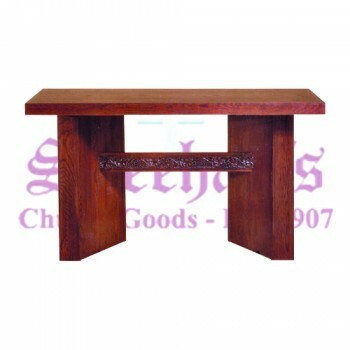 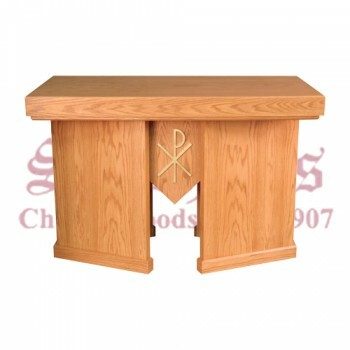 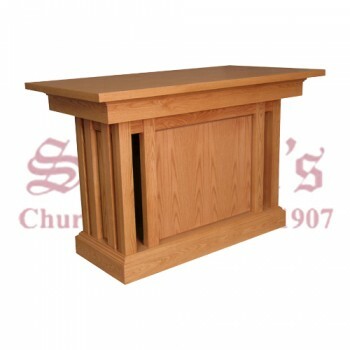 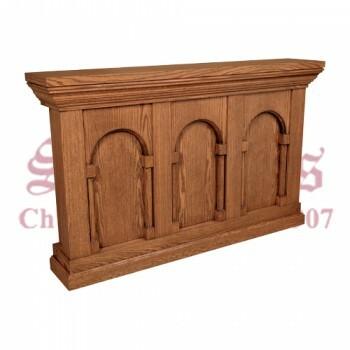 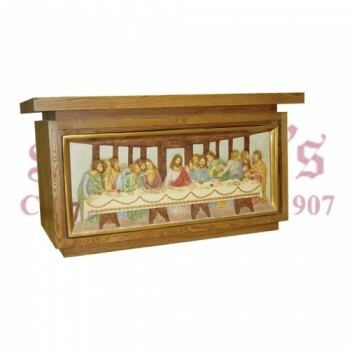 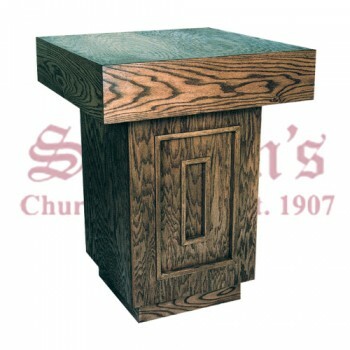 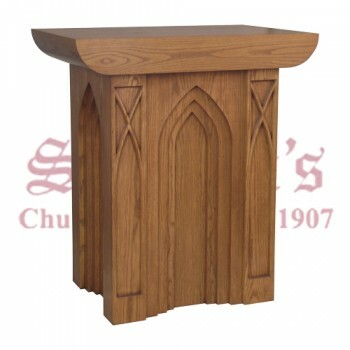 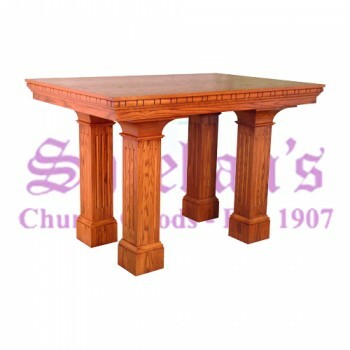 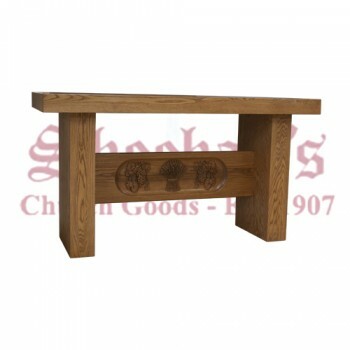 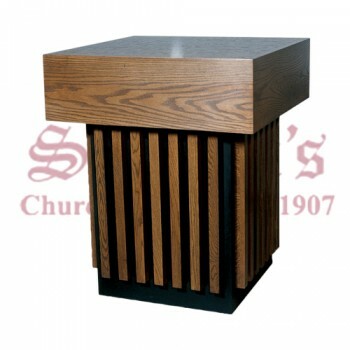 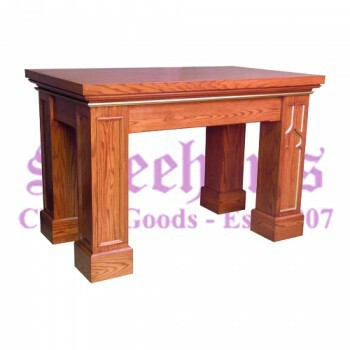 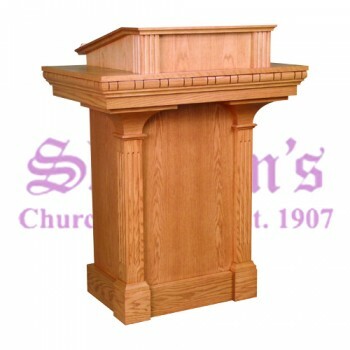 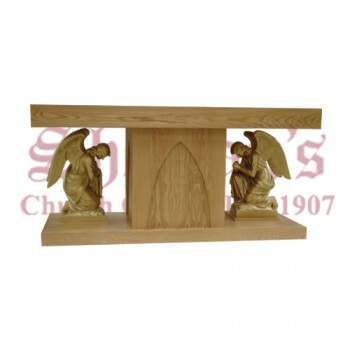 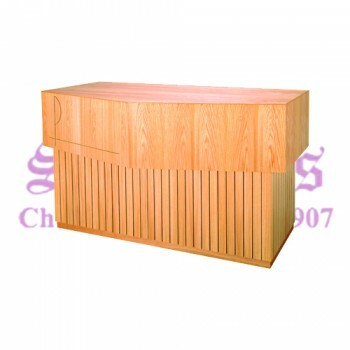 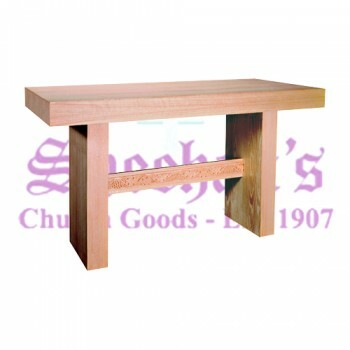 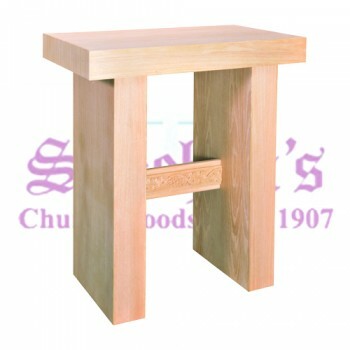 Many wood altars and church communion tables come in your choice of finish, so the piece will be unique to your congregation. 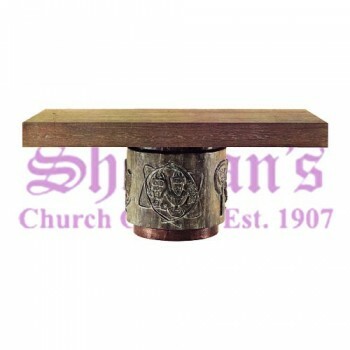 While wooden altars are by far the most popular variety, acrylic designs and styles with metal accents are also available. 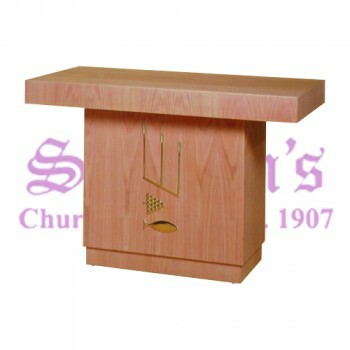 For more information on a special style of altar, please click on its image from the list above. 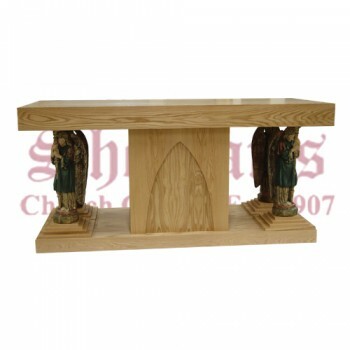 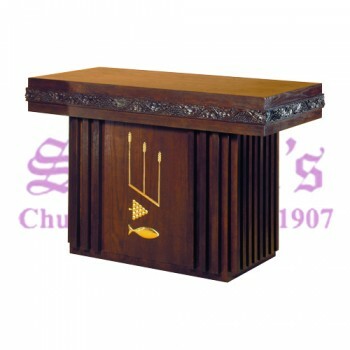 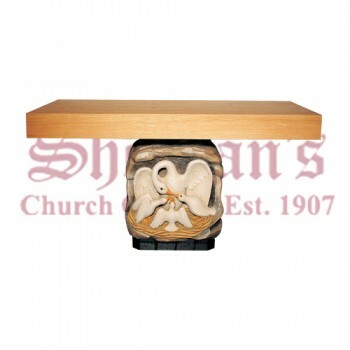 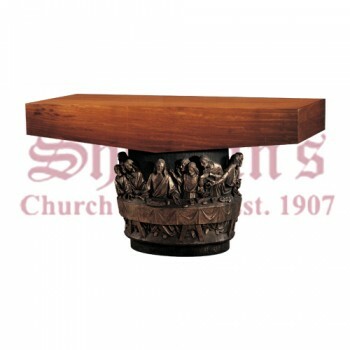 Our church altars for sale are a fantastic value and include free freight shipping. 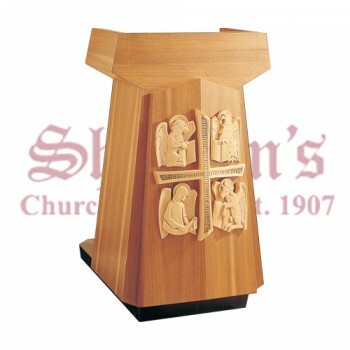 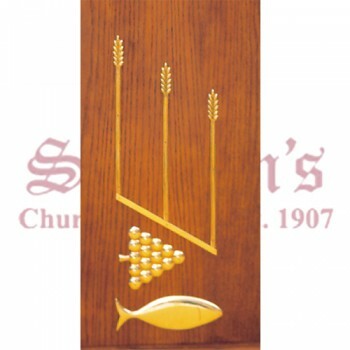 Matthew F. Sheehan has been in business since 1907 and continues to be a leading supplier of high-quality church goods. 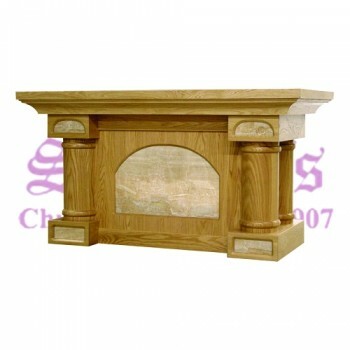 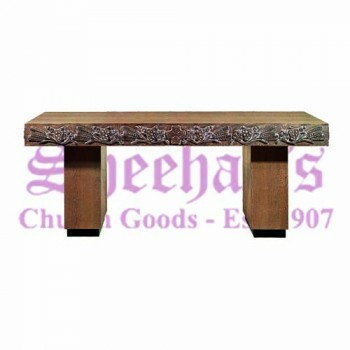 Every item offered is carefully selected to meet our high standards of quality and design. 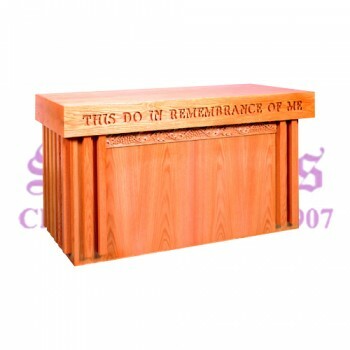 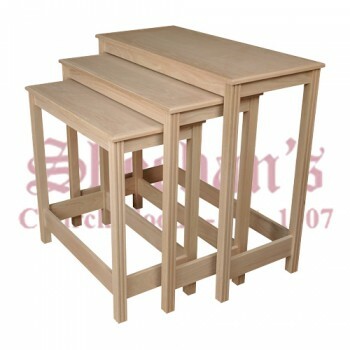 Our communion tables for sale are made by trusted manufactures and are carefully packaged and shipped to arrive in pristine condition. 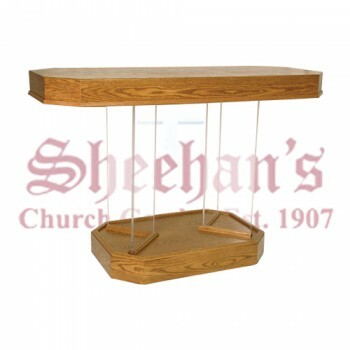 For questions or for help ordering, please call us at 1-617-971-9800.